First, you need to own an account in the currency you want to deposit. 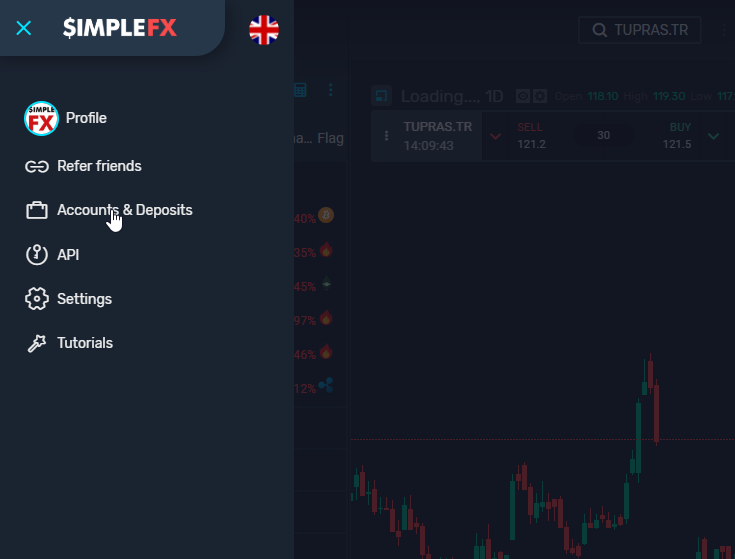 If you do not have one, you can add new currency account to your existing SimpleFX profile. 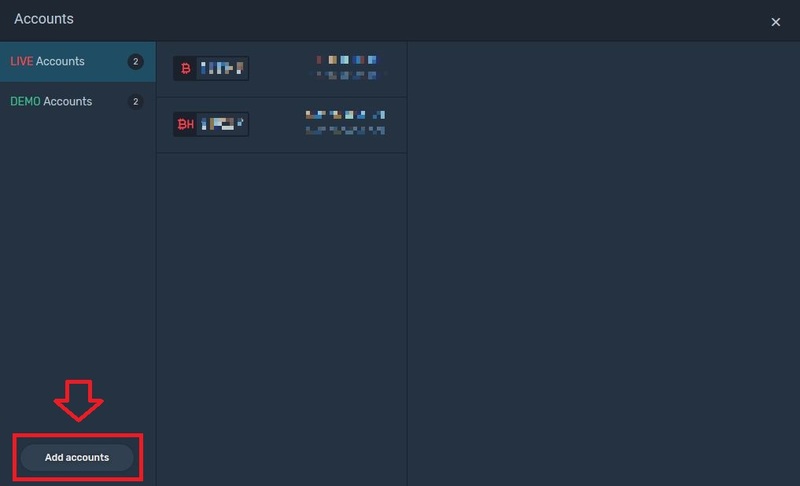 In order to do that, click on the menu icon in and choose “Accounts & Deposits”. Next, choose a live account and the desired currency, set up a password and click on the “Create account” button. Your new account is now ready to use. To trade with real money, you need to make a deposit. Go back to “Accounts & Deposits” and choose the live account you want to send money to. 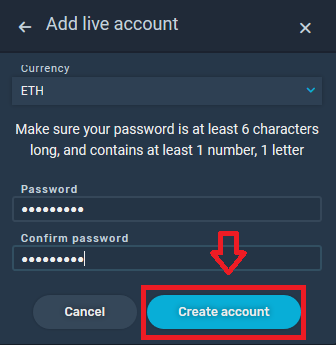 I will use my new ETH account as an example. 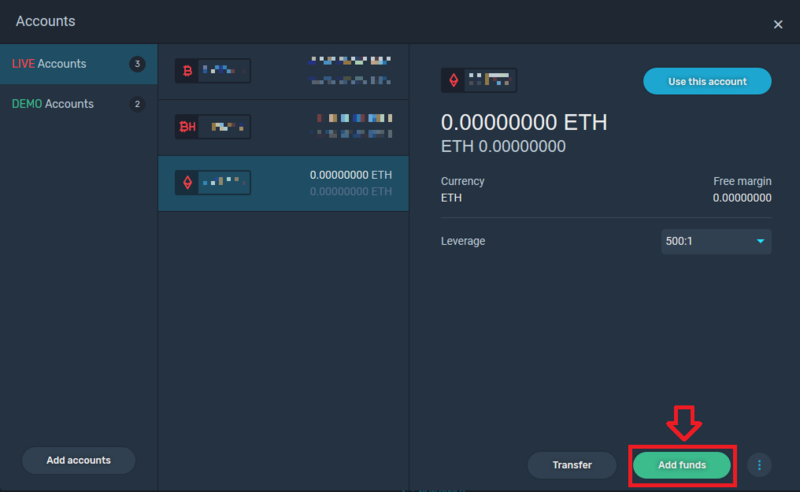 To make a deposit, click on “Add funds”. Please note, that you can only make a deposit in the account’s currency. 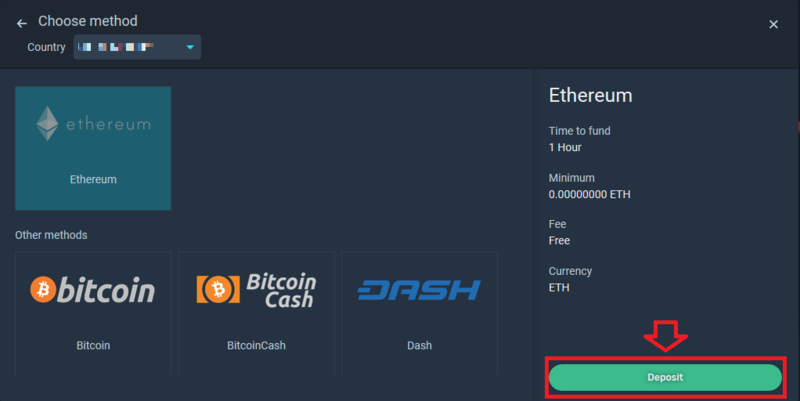 I choose the Ethereum payment method and click the “Deposit” button. If you choose a fiat money transfer service, you will be redirected to the provider. 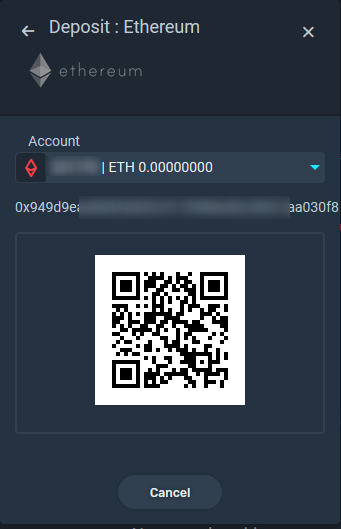 I choose a cryptocurrency transfer service and SimpleFX WebTrader shows me a ready-to-copy address and a QR code. Once your transaction gets a required number of confirmations from the network, the amount will be credited to your account. Sometimes it takes several minutes, it might take up to one hour. Fiat currency deposits, on the other hand, are instant.